On the fresh afternoon of 20th March, Toybank conducted a sensitization talk for Grade V of Utpal Sanghvi School. 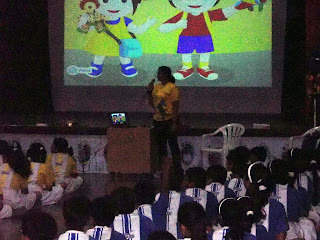 The talk was organized to make the students understand the ‘Right to Play’ aspect in every child’s life. The response from the students was excellent and almost everyone was aware of the issues faced by the children. The presentation included inspiring stories on joy of giving/ sharing. 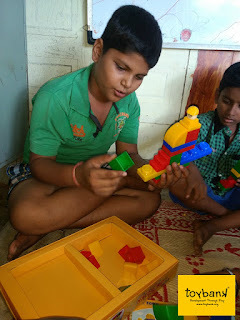 The students themselves felt the need to share joy by sharing their toys with the children who did not enjoy the privilege of owning toys. 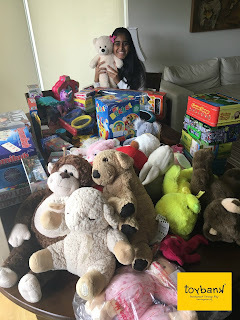 They took upon themselves the responsibility to spread the message of Toybank amongst their friends and families and have a toy collection drive for us.